Home Blogging Clickadu Review – Is It A Good Adsense Alternative? 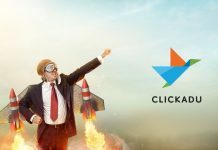 Clickadu Review – Is It A Good Adsense Alternative? You are terrified to the core! You know your income is going to take a dip the following month. You are afraid that you can’t live the life you used to dream about. Why because your AdSense account is banned. Are you in such a weird situation? Don’t worry! You can get back your income standards, period. During the last few years, AdSense has been imposing unnecessary restrictions on the publishers that caused a lot of rejections and bans. If you are a person who has no AdSense account or a banned one, you have just found the golden spot as I am going to introduce one of the finest alternatives with you. We always analyze a product by checking its spec sheet. So, let’s have a look at the features. Being founded in 2014, Clickadu has been serving the advertisers and publishers in a reliable fashion. The number of publishers (3000+) and ad campaigns (3800) depict how popular they have become within a couple of years. The following are the features of Clickadu network, which I found enticing. Of course, you are familiar with many ad formats. Do you know what? Not all of them are profitable! They just steal ample space from your blog and, give no profit in return. I have seen tons of AdSense publishers, not earning even a single dollar per day. The disappointing fact is that most of them get decent daily traffic as well. That’s why I said the diversity in formats doesn’t matter. As of now, Clickadu provides clickunders and pop-unders, which are quite efficient to give you exciting RPM. They are working on CPA model as well. Google started taking responsiveness as a ranking factor long before. And, almost every webmaster followed the guidelines of the search engine maestro to make their sites mobile-friendly. What if your ads aren’t responsive? Trust me; I have seen sites which aren’t responsive only because of the presence of AdSense ads. Yeah, it’s true. I needed to place my phone in landscape mode to read everything on such websites. No such issues are here with Clickadu ! 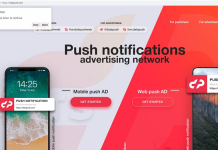 The advertisements given by them can be easily seen on desktop computers, laptops, tablets and mobiles without any flaw. Have you heard of eCPM? If you are new to this whole advertising arena, chances are you haven’t. eCPM is the short form of effective Cost Per Mile. 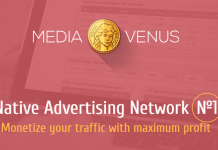 Cost per Mile is the amount an ad network provides per thousand views. Usually, eCPM is calculated in the following way. If your eCPM is $5, it means you can get five dollars for each thousand impressions. Clickadu has the best eCPM for 200 countries. That means, you will get top earnings for almost every country you get traffic from. The accurate analytics and tracking are more than essential for an ad network because that’s the only way through which we get to know how many impressions or clicks our ads get. Google has a dedicated tool for tracking called Google Analytics. And, it makes the tracking job easier. Is there anything for Clickadu? No, but they have integrated tracking capabilities into the ad code you get. As a result, not a single click or page view goes untraceable. They refresh stats every hour to get you the most updated analytics. Clickadu works on automatic payment basis. You can set it to once or twice a month. And, their system will trigger the payment transferring process without bothering you. Right now, you can avail the funds via PayPal, Paxum, Webmoney, Payoneer or Wire Transfer. Most of the publishers around the globe are happy with these. Still, they are going an extra mile by working on Bitcoin payment, which will be added to the system soon. Who doesn’t like an additional income, right? Clickadu has a referral program using which you can earn 5% of what your referrals make. All you have to do is share your link with publishers. When they sign up and start making the profit, you will receive your share. All of us are not geeks in advertisement platforms that we need expert guidance at times. Clickadu features a 24x 7 customer support team from whom you can seek any kind of help regarding the ads. It’s your turn now! I have provided you significant details about the ad network. You must go for Clickadu, especially if you don’t have AdSense to rely upon. I invite you to do an A/B split testing between Adsense and Clickadu ads. So, you will get to know which performs better. Don’t sit idle and forget this post. Just get yourself out there and create an account for monetizing your traffic.